Record number of galleries set to participate in annual art fair focusing on emerging artists. 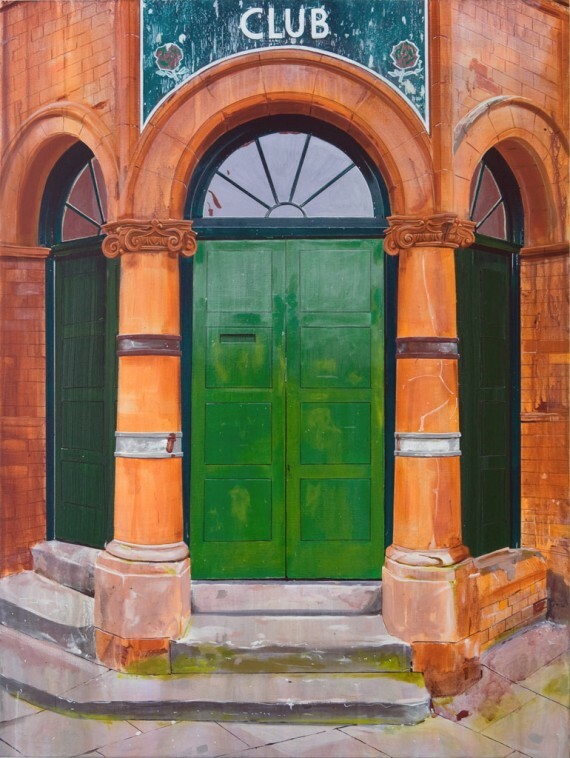 Tonight sees the opening of the latest edition of the Manchester Contemporary art fair. Taking place at the city’s old Granada Studios, the event presents a wide ranging mix of established and emerging artists. There are 27 galleries from across the UK taking part, including Grand Union (Birmingham), Paper (Manchester), S1 Artspace (Sheffield), WORKS|PROJECTS (Bristol), Platform A (Middlesbrough) and Islington Mill (Salford). Highlights include a group show by Newcastle gallery Vane featuring painting by a-n’s Stephen Palmer and 2012 John Moores Prize runner-up Narbi Price, plus drawing by Matthew Smith. Worcester’s Division of Labour will also be showing work by artists who explore themes concerned with production, labour and collaboration. London gallery domobaal will be exhibiting Rachel Adams’ photographs on vinyl and lasercut perspex, plus Christopher Hanlon’s oil on linen works. Other featured artists include Ailbhe Ní Bhriain, David Gates, Emma Talbot, Lee Edwards, Lara Viana, Lizi Sánchez and Lothar Götz. Holly Rowan Hesson, a regular a-n blogger, will be exhibiting with Manchester’s Castlefield Gallery, along with Jemma Egan, Nicola Ellis, Hannah Farrell, Martin Hamblen and Ron Hutchison. On Sunday 27 September, Pavel Büchler will lead a conversation with Leo Fitzmaurice, Maeve Rendle and Magnus Quaife, looking at what living and working in the North West means for artists. First launched in 2009, the fair has developed a reputation for providing an opportunity for audiences to access high-calibre contemporary art by international and new and emerging artists. The fair is co-curated by Salford gallery The International 3.